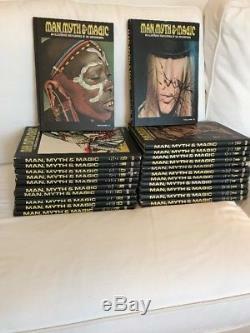 Man, Myth & Magic - An Illustrated Encyclopedia Set Of The Supernatural & Occult. 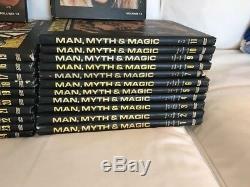 Originally published as a set of 24 books, however volume #14 is missing. Thus the reason for my reduction in the usual price! Published 1970 by Marshall Cavendish Corp, NY. 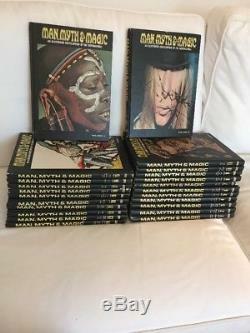 Rare and highly unique illustrated encyclopedia of the supernatural and the paranormal. It covers most every subject you can imagine or think of, plus much more. Book# 14 is missing from the set. Book# 7, 15 & 18 have some signs of wear to bottom spine ends. All interior pages are fine and perfectly clear & clean as published originally. Books are loaded with color and b&w illustrations and photographs. Since 1993 we take pride in describing our books and products accurately. 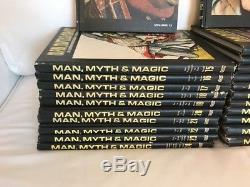 The item "Man, Myth, & Magic Rare Illustrated Encyclopedia 24 Book Set incomplete" is in sale since Wednesday, August 15, 2018. This item is in the category "Books\Antiquarian & Collectible". The seller is "batlefield0jo7" and is located in Port Saint Lucie, Florida.